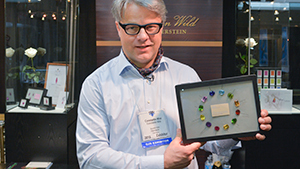 A unique assortment of colored gemstones as seen at the GJX show in Tucson. 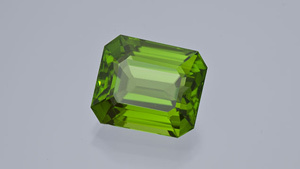 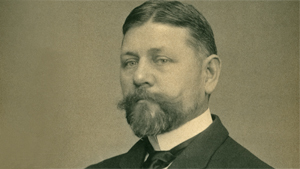 A treatise on the design, display, care and repair of fine gemstones. 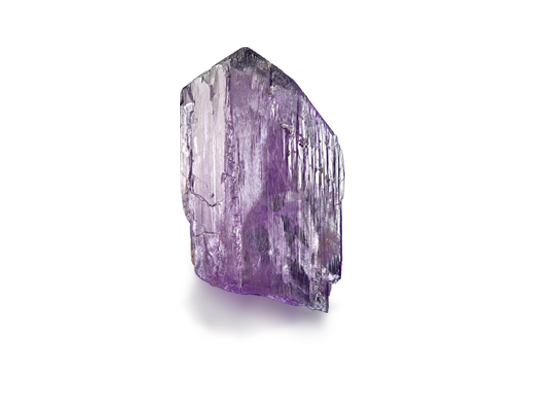 The cutting of a one-kilo kunzite crystal demonstrates the problems inherent in working with this stone. 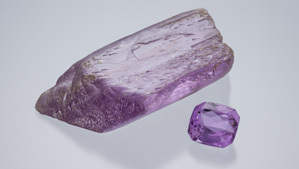 Kunzite is the light pink to violetish purple variety of the mineral spodumene. 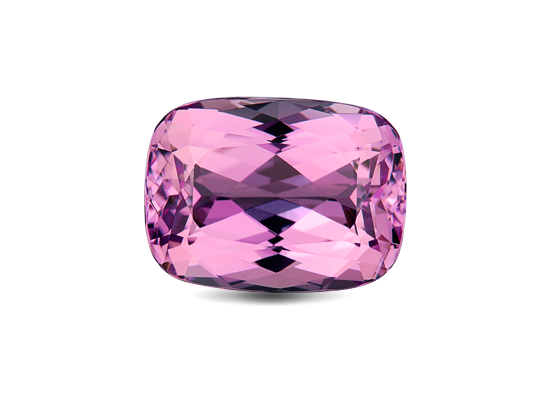 Kunzite is a relative newcomer to the array of colored stones available for use in jewelry. 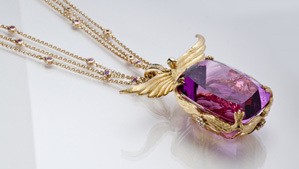 Learn about the factors that make kunzite so desirable. 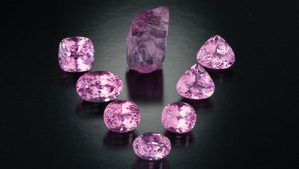 Learn about kunzite's durability and how to care for your kunzite jewelry.